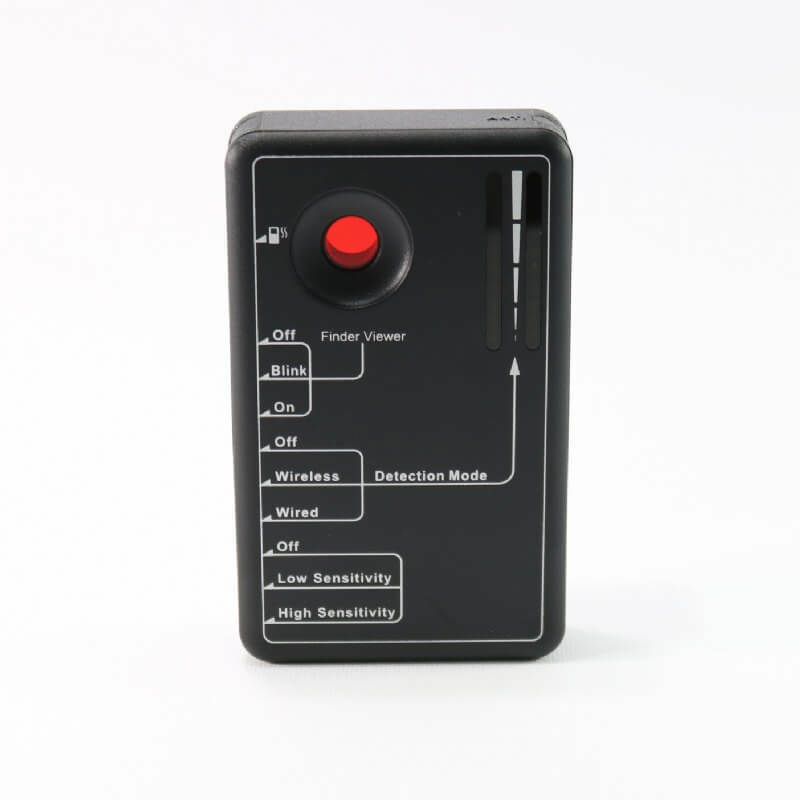 The iProtect 1203 RF Detector is a device that will show you the RF level in a current part or premise. The person that operates the device can find the physical location of the highest RF level by moving the detector in different directions in order to locate the transmitter. 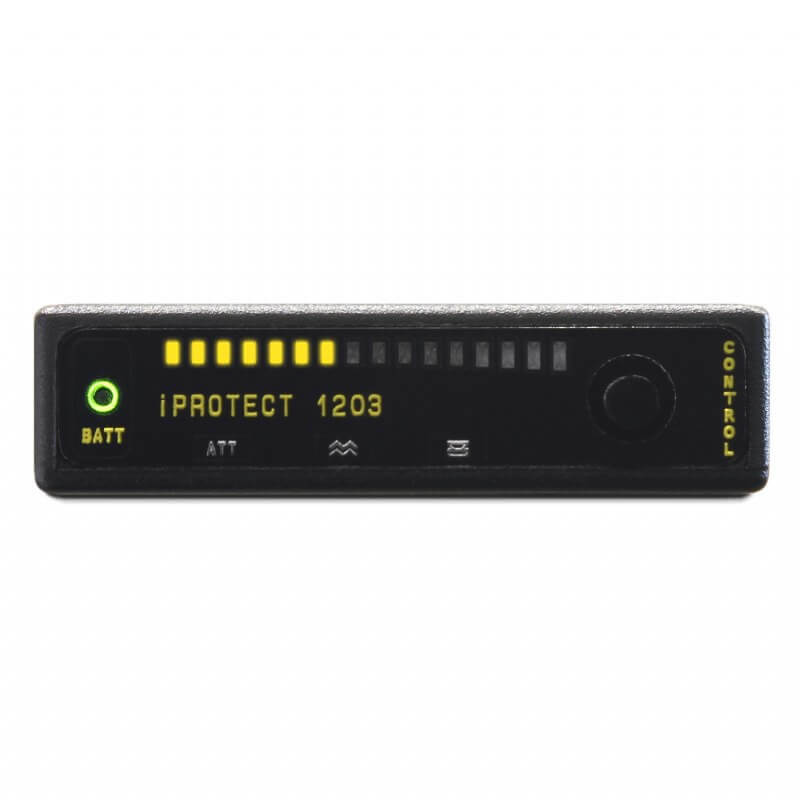 The design of the iProtect 1203 is guided by simplicity, however, it contains powerful high sensitive elements in its circuitry, allowing the operator to conduct counter-surveillance sweeping at a high professional level. 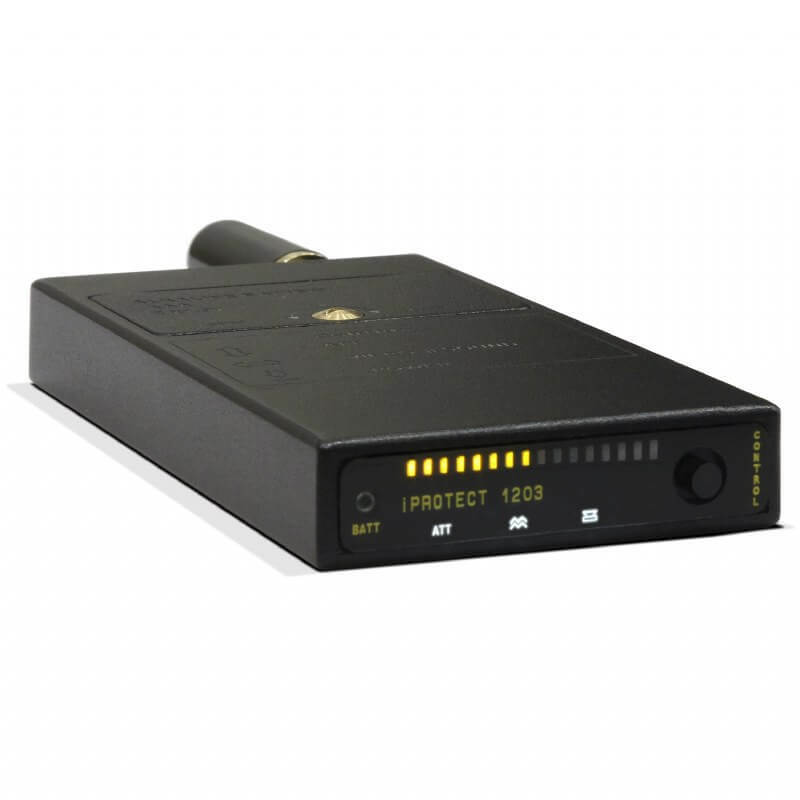 The device accurately eliminates the background noises and indicates real signals. 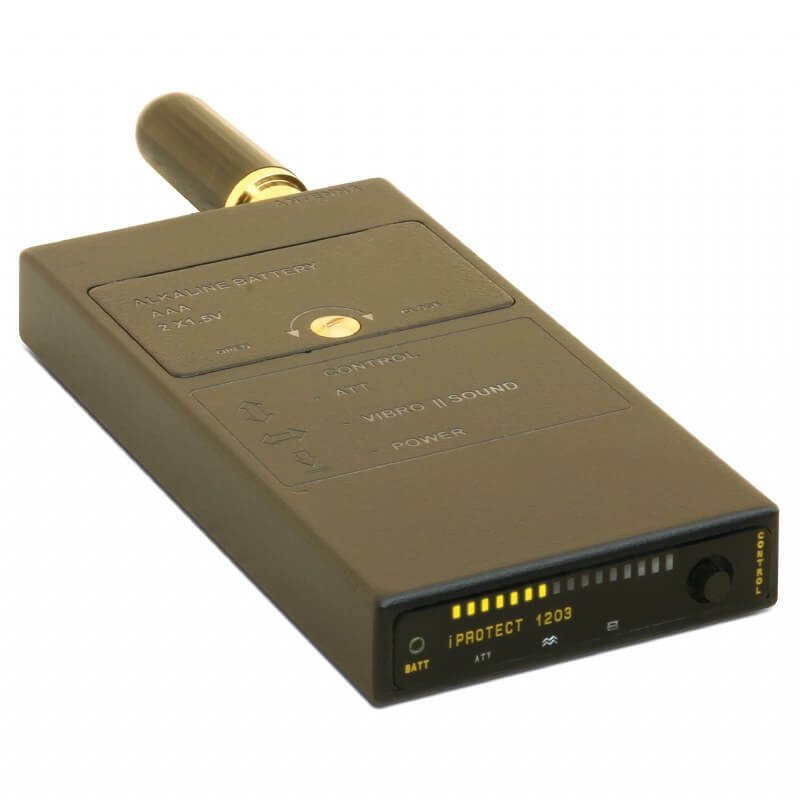 The Protect 1203 has two separate channels op pre-amplification, with a higher amplification coefficient for signals above 1500 MHz. That way even high-frequency signals can be received (radio waves in lower ranges, like FM broadcasting or analog TV). The 16 segment bar graph indicator allows users to see the minimal changes in level and as such precisely finds the area with the strongest signal for location. The vibration mode allows the user to feel the increased level without having to watch the bargraph all the time. The iProtect 1203 has a durable duralumin case and is powered by 2 AAA batteries that last up to 10 hours. Before sweeping you should perform some preparations, please see detailed instructions in the User Manual PDF below.